Marchessault was hooked by Mark Stone as he broke into the Ottawa zone on a breakaway to set up his first-ever penalty try. The Vegas center then came in from the right side of the slot and rifled a shot past Senators goalie Craig Anderson’s glove side for his sixth goal of the season. Alex Tuch had his second career two-goal game and Ryan Reaves also scored for Vegas. 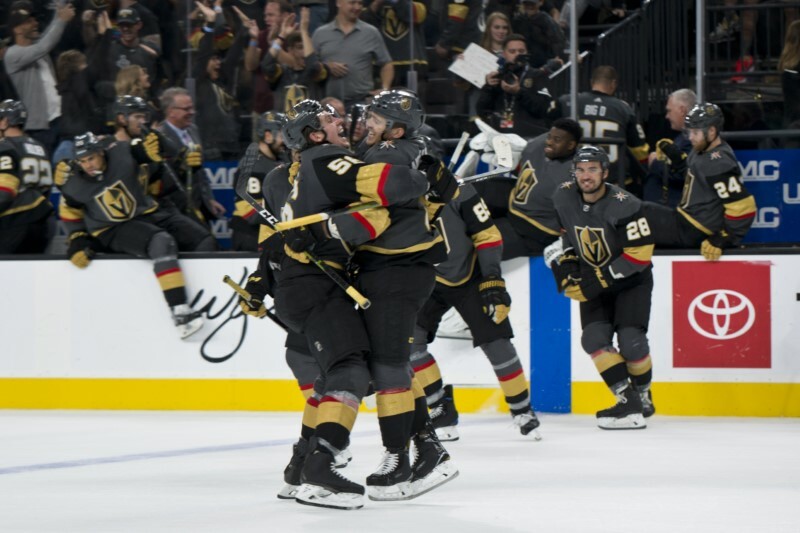 Erik Haula added a pair of assists for the Golden Knights, who finished with a team-record 53 shots on goal compared to just 22 for the Senators. Marc-Andre Fleury made 19 saves. Ryan Dzingel had a goal and an assist, and Bobby Ryan and Matt Duchene also scored goals for Ottawa. Thomas Chabot added two assists, and Anderson finished with 49 saves for the Senators. Timo Meier scored two goals, including the overtime winner, and added an assist as San Jose won at Anaheim. Meier jammed in a loose puck at 2:12 of overtime. The Sharks have won four of their last five games, while the struggling Ducks incurred their fifth consecutive loss. Logan Couture posted a goal and an assist for the Sharks, while Thomas Hertl furnished two helpers. San Jose’s Rourke Chartier collected his first NHL career goal. Pontus Aberg scored his first two goals of the season for the Ducks, while Josh Manson also scored and Ryan Getzlaf had two assists. Connor McDavid scored 53 seconds into overtime to lift Edmonton to a win at Chicago. McDavid buried a two-on-one chance to give Edmonton its third victory in a row. It was the eighth goal in 10 games for the Oilers’ 21-year-old superstar, who has been held without a point only once this season. Zack Kassian scored in regulation for Edmonton, and Cam Talbot made 31 saves. Seabrook scored for Chicago, which earned a point in the standings but dropped to 3-3 in overtime contests. Blackhawks goalie Cam Ward stopped 26 shots. Ryan Pulock’s first goal of the season helped visiting New York defeat Carolina in Raleigh, N.C.
Islanders goalie Thomas Greiss stopped 38 shots, continuing his mastery against the Hurricanes. He has won his last five matchups when facing Carolina. Pulock scored with 5:25 remaining in the second period. Anders Lee, who had the primary assist on the go-ahead goal, scored the game’s first goal. Teuvo Teravainen scored 76 seconds into the second period for Carolina’s goal. Hurricanes goalie Petr Mrazek stopped 18 shots. Tyler Bertuzzi and Jonathan Ericsson (BS:) scored in the first 10 minutes of the third period as host Detroit earned its first regulation victory of the season by beating Dallas. Anthony Mantha and Justin Abdelkader also scored for the Red Wings, who have lost nine of 11 to open the season and still have the fewest points in the NHL (six). Detroit’s Jonathan Bernier made 28 saves. Gemel Smith and Radek Faksa scored for the Stars, who had a two-game winning streak snapped. Goalie Ben Bishop recorded 19 saves. Alec Martinez scored with 55 seconds left, and Los Angeles ended a six-game losing streak with a win against visiting New York. Ilya Kovalchuk had a goal and two assists, Dustin Brown scored in his season debut, and Jack Campbell made 22 saves as the Kings avoided their longest losing streak in 11 years by rallying from a 2-0 deficit.